What a night it promised to be….Chinese dancing, music and storytelling, from the largest and most successful theatre/dance group in the world. Our wonderful children had bought us tickets for the Shen Yun performance in the Playhouse Theatre in Edinburgh (it was very generous of them as even the cheap tickets were expensive- although that did not stop the large theatre being packed). We were not disappointed. The dancing was superb and colourful, the music (a combination of Western and Chinese instruments) beautiful. The use of a massive interactive digital background screen was a technological and artistic marvel. The story telling, humour, variety and colour were all perfect. Almost too perfect. I loved the piece of music called ‘Divine Reflection” where the erhu (an ancient two stringed Chinese instrument) was beautifully played by Linda Wang, accompanied on the piano by Jingya Mahlen. The audience seemed to love it. I suspect these reviews from the US would have been repeated – at least by the film unit set up just at the entrance to the theatre. Which of course makes many in the West even more predisposed to like Shen Yun. I am reluctant to speak in favour of the Communist Capitalist Chinese state, but in this case the Chinese Government are largely correct. 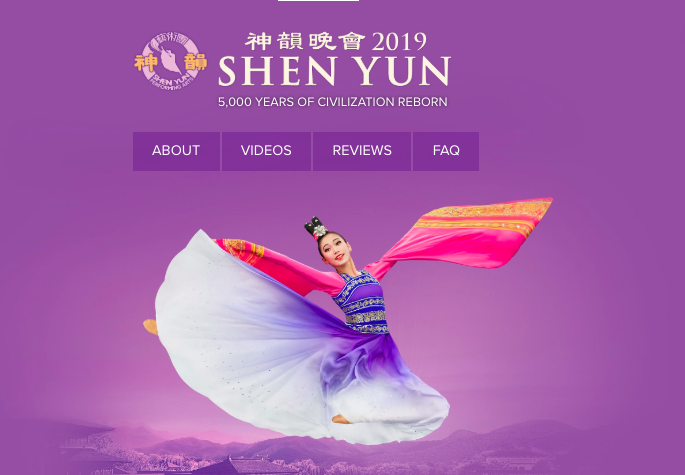 Although it is wrong to state that Shen Yun have ‘tacky taste and low artistic standards’, it is true that the performances are filled with cult messages and implied attacks against the Chinese government. Some of the messages were hardly subtle – not least when the colourful Falun Gong practitioners in the park were beaten up by the black clad villans with the Chinese Communist symbols on their back. Or when a massive (digital) wave with an ominous picture of Karl Marx threatened to overwhelm the city, until the light (in the form or Li Hongzhi, the Falun Gong leader), dispersed it and destroyed him! I wonder what the Edinburgh intelligentsia, so in to being ‘spiritual’ and loving the ‘Chinese vibe’ thought as the tenor beautifully sang in Chinese (with the translation helpfully projected on to the screen) as part of a piece entitled “The Way That Saves”? “Dangerous is the curse of modern ways and thought. As soon as it started – with everything inch perfect, and the fake fixed smiles on every dancer and the constant spiritual waffle about ‘truthfulness, harmony, compassion and forbearance’ I knew that we were in the presence of a religious cult. And so it turned out to be. 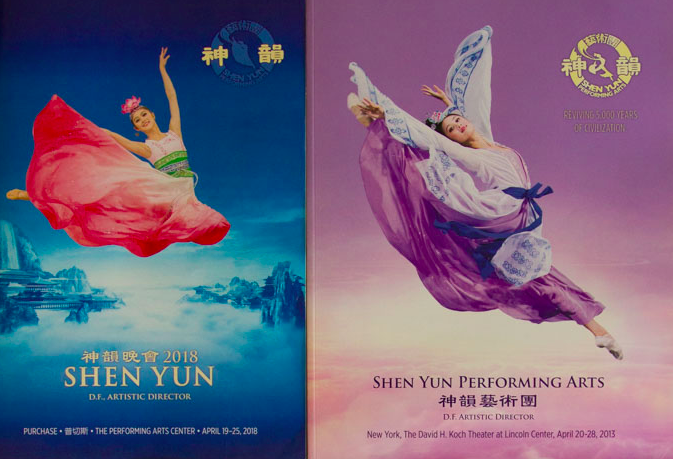 Shen Yun is the artistic programme of the Falun Gong (sometimes known as the Falun Dafa) cult. It is a mixture of Buddhism and Taoism led by a man called Li Hongzhi. It claims to have over 70 million followers world-wide. In 1999 it was outlawed in China and has experienced extensive persecution since then. Falun Gong is the scientology of Buddhism and Taoism. It is like most religions a work based one. 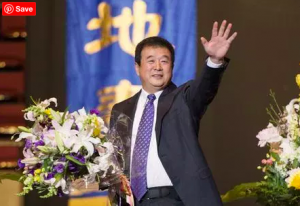 Using lots of positive words ( tolerance, compassion, harmony – you can fill in the rest…) we are told that we can ‘upgrade ourselves’ by of course following Falun Gong and thus attaining divine status. the world. 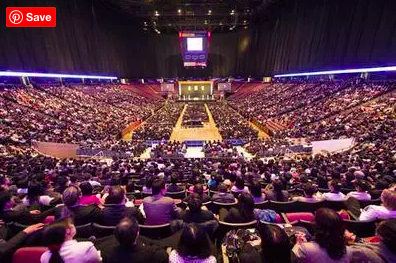 Like many cults – Falun Gong identifies some of the problems and needs of humanity (the need to be born again, the lack of holiness and love, the longing for God, the desire to be saved) but offers a fake and dangerous solution. I’m not surprised that so many middle class Westerners are taken in by it….in our increasingly dumbed down society we have lost much of our rationality and are easily taken in by fine sounding words and what we think are wonderful Eastern concepts – the universal virtues. Who does not want harmony, kindness, loyalty, faith, integrity and compassion? Especially when it is backed up by great TV productions and glossy propaganda! I will leave the summary to the Glaswegian ladies sitting behind us – who not quite grasping the concept of the performance and ignoring completely the polite notice from the Shen Yun company not to eat and drink during the performance – chomped their way through bags of crisps and sweets, and slurped their way through their drinks, before announcing after the erhu musical item: “Didne mind the dance, but that was shite”! And then walked out. Although I would not use quite that language I thought that they summed it up well. The performances were great – but the message had more than a whiff of what Paul calls ‘dung’. Thanks for this. I have bought tickets to take my wife on her birthday in April but now wondering if I should cancel? I saw it in Birmingham last year with my Chinese friend. It was extremely disappointing and my friend was very upset because she’d wanted to show off Chinese culture at its best. The effects are tacky and garish, and their political message is rammed down your throat relentlessly. The attempts at humour are, quite frankly, embarrassing. One the positive side, the dancers are talented and beautiful. However it only got lukewarm applause. Honestly, you’re much, much better off blowing that kind of money on a west end show. Is there any difference between Falun Gong and Christianity, both seem to thrive only in dumbed-down societies where blind dogmatism is more important than reason or evidence? Read Mark Noll’s The Scandal of the Evangelical Mind where he says “The scandal of the evangelical mind is that there is not much of an evangelical mind.” He asks why Evangelicals with all their wealth, status and political influence have contributed so little to rigorous intellectual scholarship. The original followers of Jesus, including his brother James, and Peter were followers of a works religion. This only changed with Jesus predicting the world would end in the lifetime of his followers (John Gray, Black Mass: Apocalyptic Religion and the Death of Utopia). Yes – there is a wonderful difference between Falun Gong and Christianity – Jesus Christ! As Christianity thrives society becomes more intelligent…as it declines and atheism takes hold there is a general dumbing down! Witness the atheist attacks on the internet as a prime example…armed with Wiki and Google they think they are invincible. The beauty of the dance is from beautiful heart,so maybe that can prove Falungong is beautiful too. I don’t think the fact that something is beautiful means that it comes from a beautiful heart….the devil comes as an angel of light! We need more discernment than that!